Interested In Putting The Leonardo Diagnostic Tool To Work In Your Shop Or Dealership? Book Your Leonardo Diagnostic Consultation Now! MCLAREN DEALER LEVEL DIAGNOSTIC TOOL NOW AVAILABLE! Ferrari / Maserati / Lamborghini customers know that if they are not going to the dealer they are going demand the best tool on the market for accurate dealer level data on their prized exotic car and will ask you. Do you have a Leonardo? Can you afford to have those clients go to the dealer or another facility that uses a Leonardo. Our diagnostic tool company is committed to providing our clients with the most up to date software. We also offer technical support both online or via telephone so that you always receive the help you need. We can log into your Leonardo Diagnostic Tool in real time for support as well. 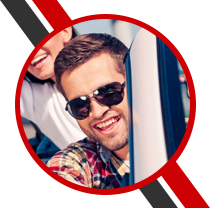 Your yearly subscription provides you with access to our leaders in high end exotic vehicle diagnostics. We provide training classes twice a year to help grow your business and to get dealer level training on these high end exotic automobiles. Our car diagnostic equipment diagnoses via OBD, GFA, ISO 1 OR ISO 2 connections. The Leonardo Diagnostic Tool is ready to handle the day-to-day tasks for independent workshops or dealerships. Our auto scanner tools service Ferrari, Maserati, and Lamborghini trade-in vehicles. View engine parameters in real time! One button “Quick Test” Check components Activation, deactivation on Engine, gearbox components, cycle tests etc. The ability to adapt and code control modules. Our automotive diagnostic tool reads errors, deletes errors, and prints to a USB key. The system uses Proxi programming and key coding. 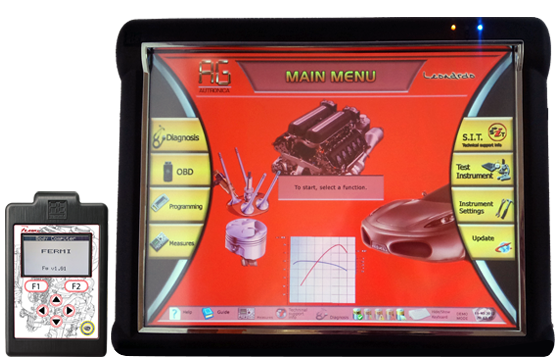 A truly powerful diagnostic device, our automotive diagnostic scanner is the best car scanner on the market.